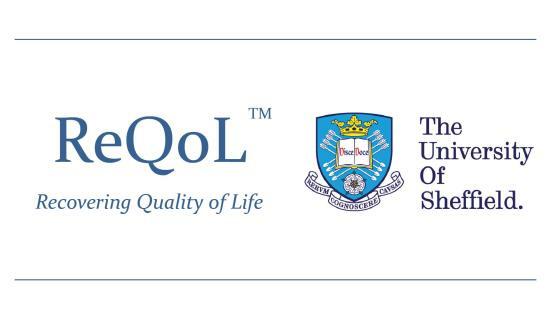 Who was involved in development of ReQoL? This project was commissioned and funded by the Policy Research Programme, Department of Health. The questionnaire has been developed by a core team supported by researchers from EEPRU and led by Professor John Brazier. Left to right: Milad Karimi, Professor John Brazier, Dr Anju Keetharuth, Kirsty McKendrick, Janice Connell, Dr Lizzie Taylor-Buck, Dr Tom Ricketts and Professor Michael Barkham. Not pictured: Dr Jill Carlton. The scientific group supported by researchers from EEPRU and chaired by Professor John Brazier is the main decision-making group. It includes psychometric experts, clinicians and expert service users. An advisory group consisting of both international and national scientists, along with expert service users who will also be asked to contribute at various stages of the project. A stakeholders’ group of potential users of the measure has been established to comment on all stages of the work and to ensure the work meets its aims and objectives. Key stakeholders include, among others DH policy makers, NHS England, CPPP, expert service users and professional groups. Expert Service User group In addition to having expert service users involved in the scientific, advisory and stakeholder groups, a group of expert service users meet independently to comment and advise on development of the measure. NHS Trust Sites A number of NHS Trust sites are involved in the development and pilot of the ReQoL PROM. The Meadowhead Group Practice, Birley Health Centre, Ecclesfield Group Practice, The Crookes Practice, Richmond Medical Centre and Nethergreen Surgery. A number of mental health charities are involved in the development and pilot of the ReQoL PROM.